Previous PostBUSBY CLEAREDNext PostWHO SAID THAT? Judge Nina should do magistrates for him. The princess can do it all. “Making Broward a safer place” ? Really, Scotty ? And it only took the Keystone cops 7 days to apprehend him in WPB ? I feel safer already. 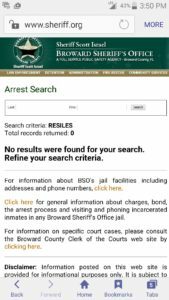 Between the idiot bailiffs in Broward courthouse and the way your office has handled this from the beginning, I’m beginning to think a kindergartner could outsmart you ! Ha! ATurd didn’t eat me. I’m alive and well!! Hey Dayinte how was Disney world. What was he doing in Days Inn? I thought he busted out to find the real killer? Maybe they’ll reduce the charges, er, voltage if he tells where the keys are coming from. I heard Dayonte dimed himself because he got tired of all his ho’s bitchin about babymomma money. 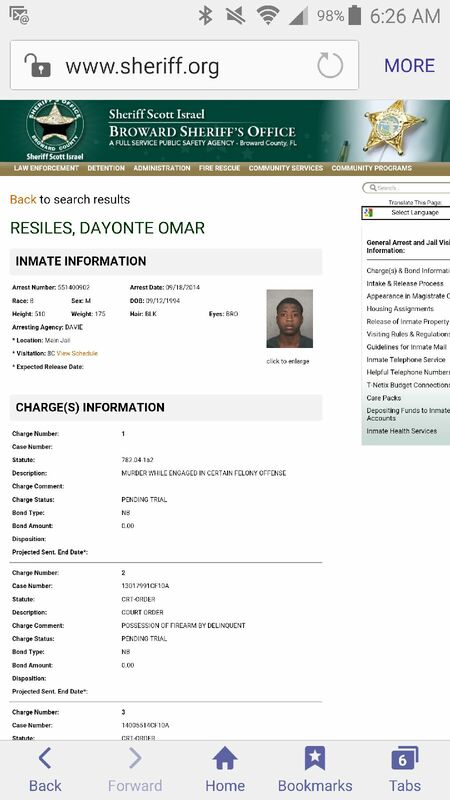 I heard Pretrial came and got him because he missed a drug test. At least spend a week at the Breakers before they 86 you. No class. What a coincidence! Sheriff Israel called in a tip to the line once PBSO tracked him down so he could collect the check. Most of these slackers wouldn’t have made it past Pompano. Last hetero shag ever for this guy. Those assholes in Davie took that kid who found his mom murdered and put him and his dad through hell for 9 days until the DNA came back, then tried to save face by lying their asses off to the Sun-Sentinel about how they apologized to the kid days before the results came in. The reasons they listed for him being a suspect were laughable. If you’re gonna change clothes, you’re not going to leave on the bloody shirt idiots. 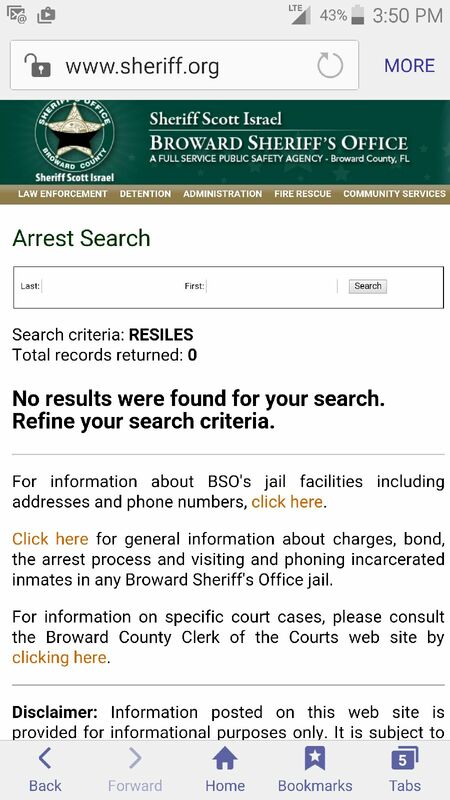 Then after DNA nails the real perp, BSO lets him escape. If not for the DNA, Davie and Satz would be going after that kid with everything they’ve got. All because he got blood on his shirt when he found his mom stabbed to death and picked her up.